Doesn't this like the perfect place to get a cup of coffee? Ubaid is working on his coffee shop in Oceanside, New York and used our Design Center to create some custom pieces for the new place! The Order ahead decal and the types of coffee along the bottom of the window were both done in our outdoor vinyl - just like regular vinyl only it has a glossy finish and will last longer while being out in the elements. 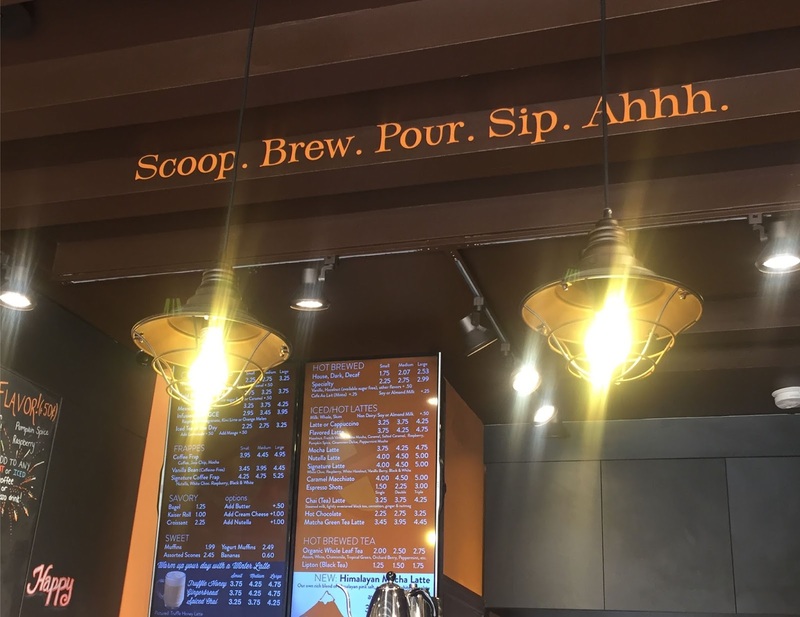 This is our Scoop Brew Poor Wall Quotes Decal. Ubaid ordered the 4" tall x 57.5" wide decal in Persimmon and it couldn't be a better fit. This is one of my favorite quotes! Our Coffee Makes Anything Possible Wall Quotes Decal is perfect at 12" tall x 25" wide in Chocolate. Need any custom logo decals or window signs for your business? Contact us at info@wallquotes.com and we are happy to work up a quote for you!